 This project saw the iconic Theatre in District Six, in Cape Town’s Bo-Kaap, receive a splash of colour and a fresh new start thanks to the arrival of the Let’s Colour project in South Africa. 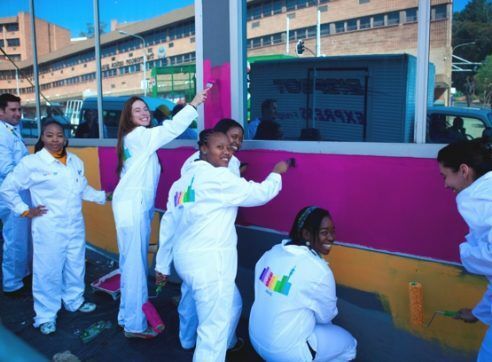 This project saw the iconic Theatre in District Six, in Cape Town’s Bo-Kaap, receive a splash of colour and a fresh new start thanks to the arrival of the Let’s Colour project in South Africa. Inspiring community members to get involved in the dancing programmes and award winning performances, this historical venue has to offer. The event took place mid morning and more than 70 people attended. Volunteers, local community, members of the media and members of the theatre joined the festivities and the colour movement. 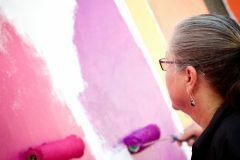 Getting involved with the theatre is Dulux’s way of showing an enormous amount of passion for the arts. 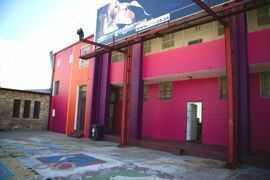 The theatre was in dire need of visual and practical rejuvenation and hopes the effect will be tremendous for those who travel from across the Cape Flats to attend classes and programmes, as well as the community at large. A palate of dramatic shades and hues were carefully selected to also revive the surrounding buildings of the Theatre. The communities of the Bo- Kaap have always embraced colour, which can be seen by simply walking down the colourful streets, where almost every house is painted in a bright and vibrant shade. Another great inspiration for selecting this venue, without a doubt, was the colourful Kaapse Klopse, which represents the unique and lively culture of this community. 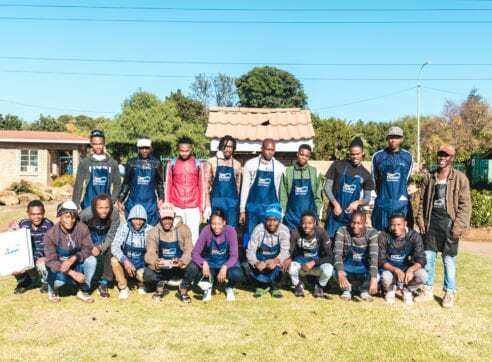 The aim of the project was to serve as an invitation for the community to get involved with the programmes and performances offered by the theatre. The colours will greatly assist in making this theatre a landmark of the community and one that they can all be very proud of. It also hopes to inspire the youth to stay off the streets and attend classes the theatre has to offer. Brother Brian, director of the theatre, feels this renewal of the theatre will breath new live into the community project. 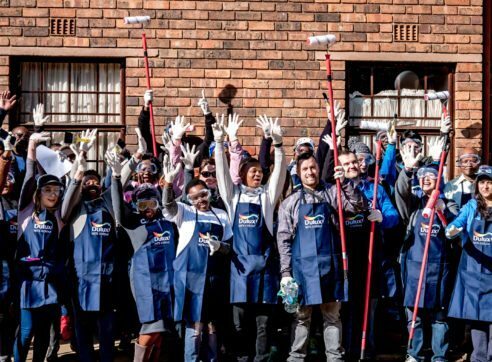 Find out more about Dulux in South Africa here.